Single Player Commands for Mod for Minecraft is one of the greatest mod ever created for Minecraft. This tool allows you to bring many options in your game by adding support for command-line interface. Players can enter commands to modify in-game features, spawn units, edit items and enable worldedit. The previous version was Single player command and now you can Single Player Commands with the compatibility with the new version and above. The rest of details are given below. For Minecraft 1.9.1/1.8.8/1.7.10 and below. Versions of Single Player Commands Mod will be updated right after they release. For Minecraft 1.7.10/1.7.4/1.6.4 and below. Go to versions and copy the version directory (eg: 1.8.2) and name it something else (eg: 1.8.2.mods). Alternatively, if you have done this for another mod already backup the Minecraft version. Save and close the json file. Select the rest of your settings. Launch the game using this profile. Note: Using a 3rd party launcher such as Magic Launcher may save you a lot of time in managing mods. The Single player commands will be available online right after its release. The mod is currently in development phase. 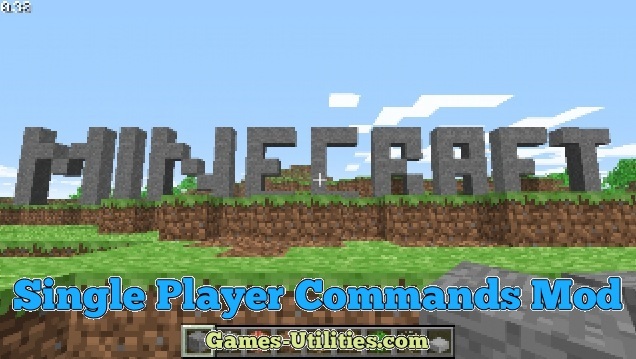 So have fun playing Minecraft and keep coming here to check the latest updates of your favorite game online here.